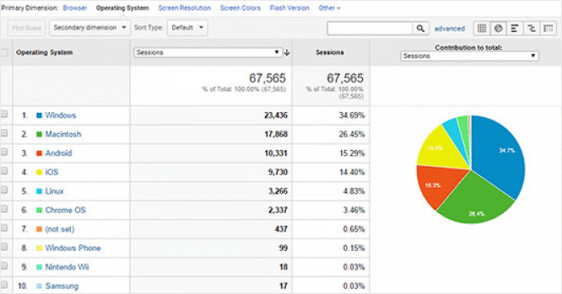 Want to learn when Google Analytics is wrong about your website’s data? As great as Google Analytics is, it’s not perfect. Knowing where your metrics might be inaccurate can help you analyze your site’s data so you can make changes and drive more traffic to your site. In this article, we’ll show you where your Google Analytics data might be wrong and give you ways to get around these errors. If you want to use Google Analytics, you’ll need to add tracking codes to your website so what happens on your site is sent as data to your Google Analytics account. The problem is, setting up Google Analytics can be tricky if you’re not sure what to do. Plus, it takes a lot of time. If you put the tracking code on a web page two times, Google Analytics will count each pageview as two pageviews. This will make your bounce rate seem very low because any time someone visits your site and looks at two pages, Google Analytics won’t count it as a bounce. If you forget to put the tracking code on your web page, activity on that page is not recorded in Google Analytics. Plus, any time a site visitor clicks on another page from that web page, Google Analytics will count your site as the traffic source to the second page. The easiest way to avoid these problems is to use MonsterInsights, the best Google Analytics plugin for WordPress. 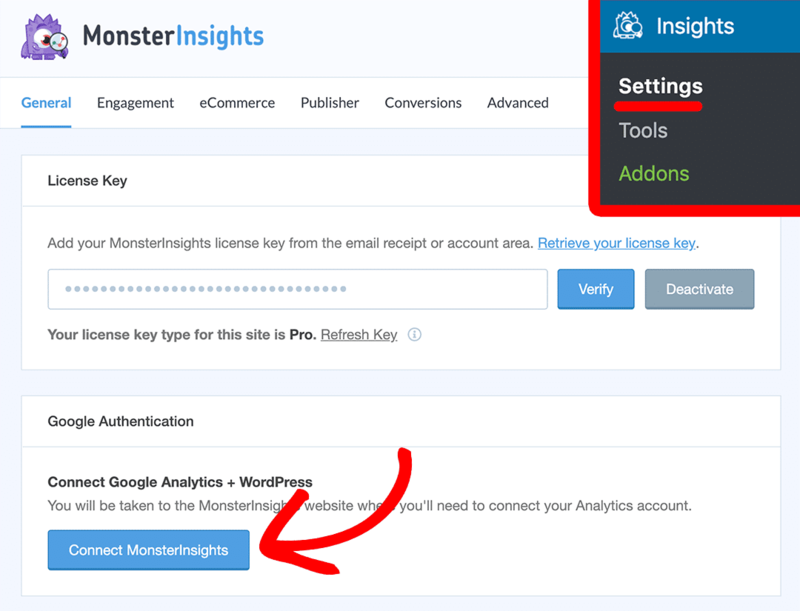 That’s because MonsterInsights gives you a simple way to set up Google Analytics on your WordPress site – no coding required. Simply authenticate your site with Google Analytics and never worry about manually placing tracking codes on your site again. But what if we told you that some of your ad campaigns were just being tracked wrong in Google Analytics? That in reality, more traffic from your ad campaigns was actually coming from search results than your data was showing you? To fix marketing campaign tracking errors in Google Analytics, use MonsterInsights for things like eCommerce tracking, file download tracking, and forms tracking. Plus, for steps on how to add custom UTM codes to your email marketing campaigns to track traffic sources, check out our helpful tutorial on marketing campaign tracking in Google Analytics. Sometimes a site visitor will come to your site on their mobile device, switch to another device such as a desktop computer, and revisit your site to finish a transaction, complete account signup, or fill out your contact form. Google Analytics then tracks each session as separate people, which skews your Google Analytics data. Not only does this make it look like more visitors are visiting your site than there are, it makes it hard for you to track user behavior. This is because each time the same visitor visits your site on a different device, each session logs separately. In other words, you can’t follow user paths through your website. You also can’t see whether they converted or where they left your site. With the help of MonsterInsight’s Universal Tracking, you reduce the risk of seeing inflated mobile traffic stats. Instead, you’ll see exactly where your site visitors are coming from and their behavior once on your site. Another issue you might be facing is inaccurate mobile traffic data. Enabling Google AMP for your website can help boost your site’s rankings. Plus, it makes your content mobile-friendly and faster loading. But, it can also mess with your Google Analytics statistics. In fact, many mobile users are double counted, which negatively affects your bounce rate. Not to mention, it’s tricky to modify the original Google Analytics tracking code to enable AMP pages. And that’s it! You now know how to recognize the times when Google Analytics is wrong. And, while Google Analytics isn’t a bad tool, it’s important you understand where data might be incorrect. That way you can work around it and make the right changes to build your success. If you run a WordPress blog and are looking for ways to track your blog visitors, you might be interested in our guide to Google Analytics for publishers.